Dr. Cathleen London has announced she will run as a Democrat against Senator Susan Collins in 2020. WASHINGTON – The liberal doctor who just announced she will challenge Senator Susan Collins in 2020 as a Democrat is… interesting. Cathleen London will fight (literally physically fight) for frozen pad thai at Trader Joe’s. Her dad is Hank Greenberg, the AIG executive who was in charge at AIG during the Wall Street meltdown and was embroiled in lawsuits for years after. She once wrote a scathing letter to the editor to the Wall Street Journal defending him. 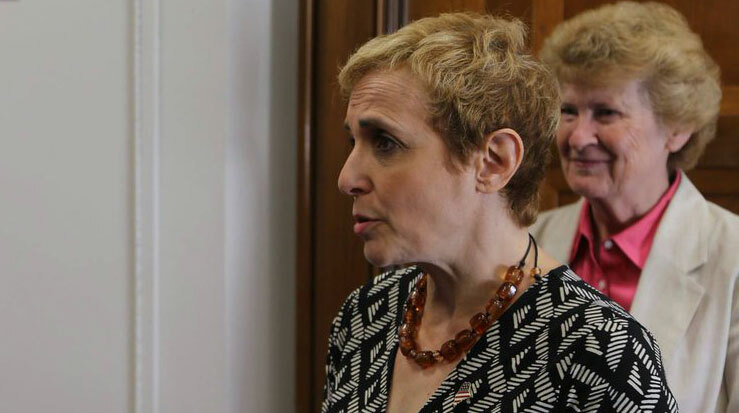 She only registered to vote in Maine in 2016 – having previously lived in Massachusetts and New York.
.@DrChaya first registered to vote in #mepolitics in 2016. Maybe she should spend some time getting to know the Maine people before telling them she knows best. Just my two cents. She is using stock photos on her website, not pictures of real Mainers. She tweets about how many years she has had a uterus. We’re sure you’ll learn more as the months fall away under our feet on the path to the 2020 election.